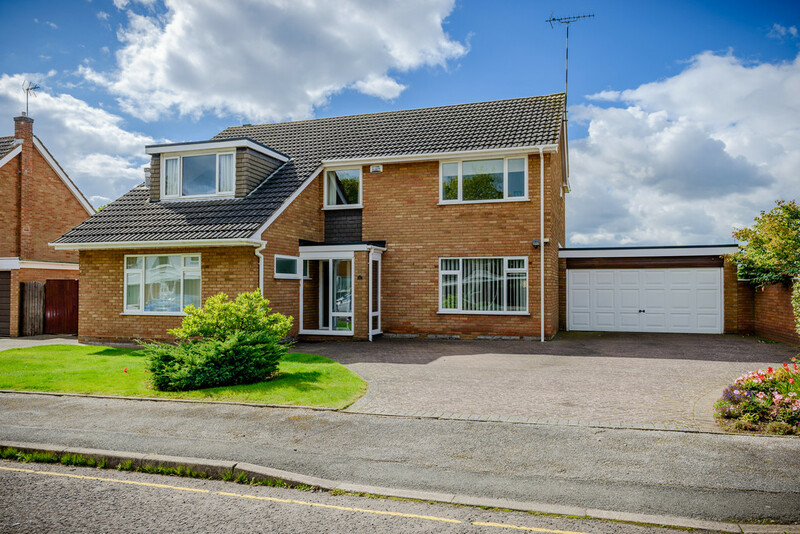 THE PROPERTY A substantial extended detached family home occupying a generous plot with a pleasant southerly facing rear aspect. 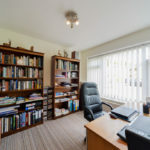 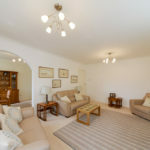 The property is ideally located for Warwick University and the owner has occupied since 1972 benefits from; Porch, reception hallway, cloakroom, 4 reception rooms, conservatory & garden room, breakfast kitchen with utility. 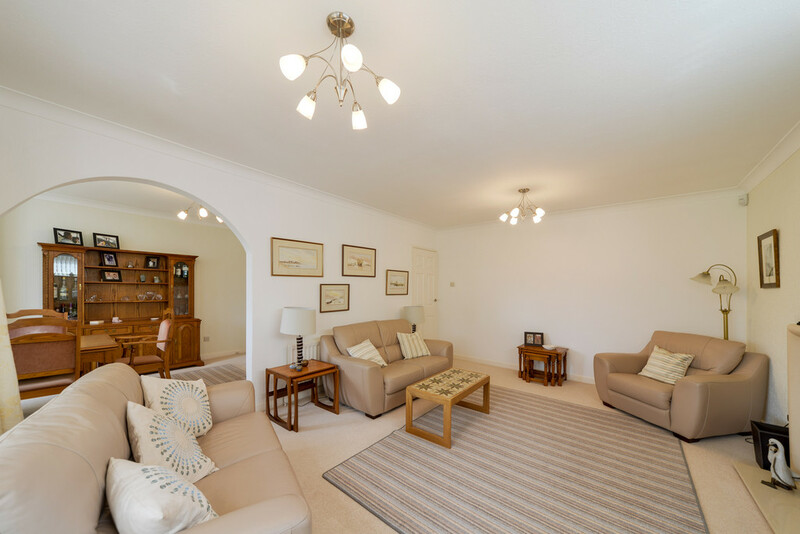 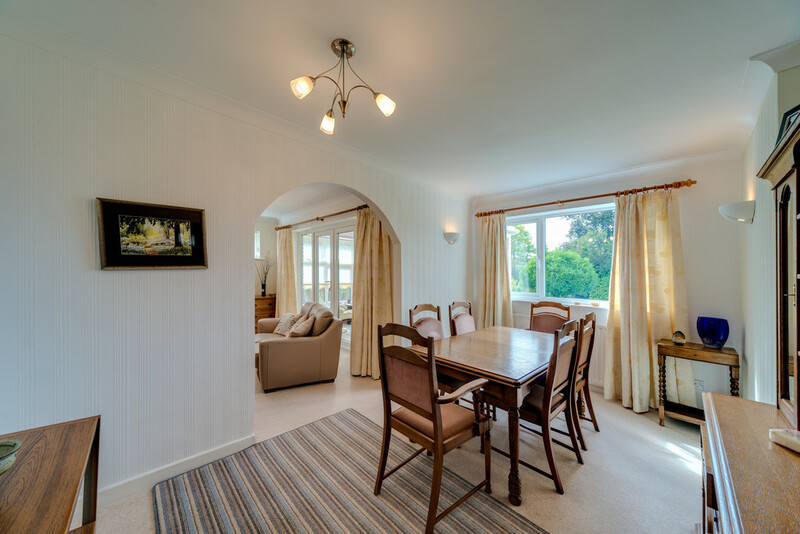 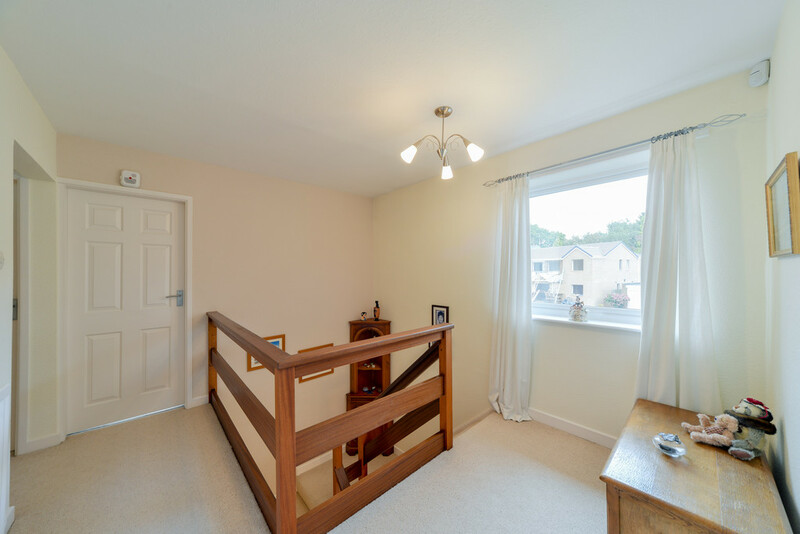 To the upstairs there is a spacious landing leading onto 4 double bedrooms, one with an en-suite shower room and good size family bathroom. 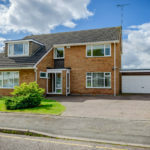 To the outside there is a large double garage with driveway for 3 vehicles, plus another driveway for further parking with a good size front garden. 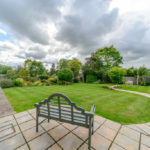 To the rear there is a lovely south facing rear garden which is not overlooked. 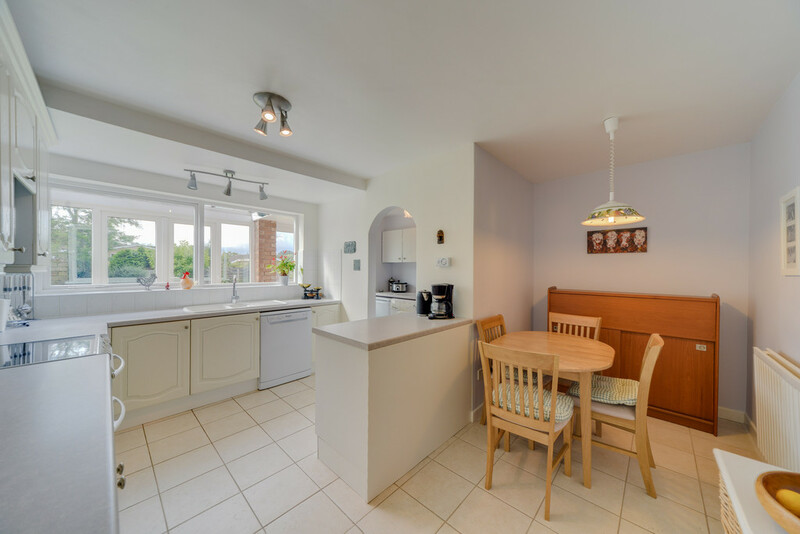 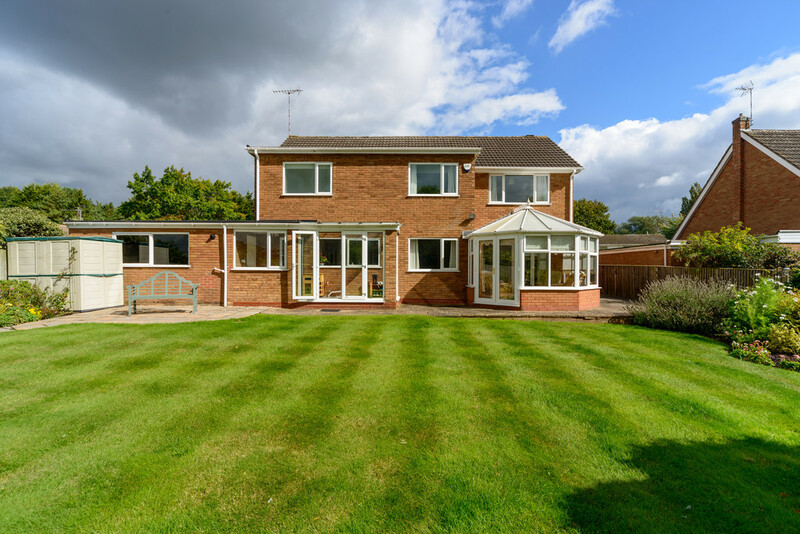 The property lends itself to extension, subject to the standard planning consents. 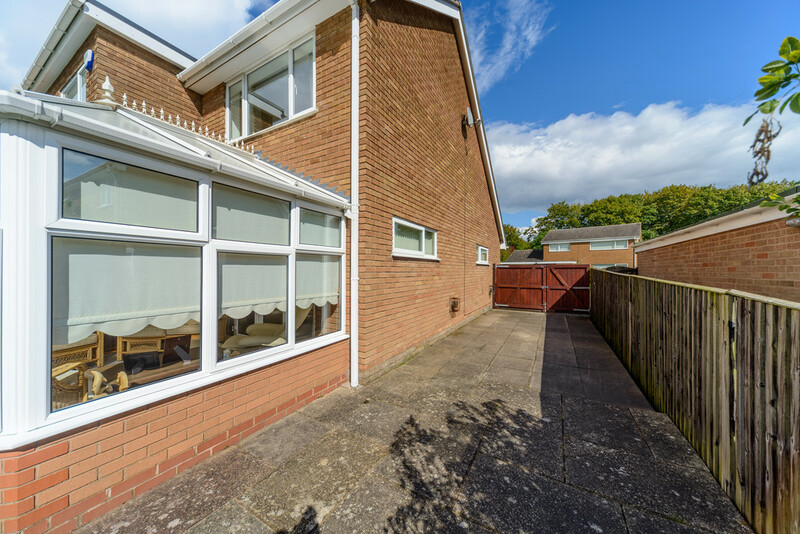 APPROACH Block paved driveway, with enclosed porch with UPVC double glazed windows and door, ceramic tiled floor and door to the reception hall. 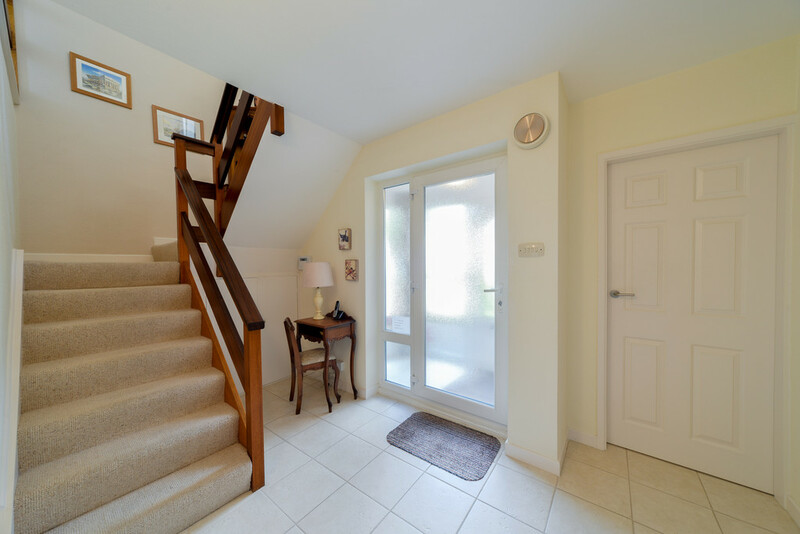 RECEPTION HALL Ceramic tiles to floor, radiator, stairs rising to the first floor landing, alarm control pad, built in cloak cupboard, with hanging rail and shelf with cupboard above, doors through to all reception rooms. 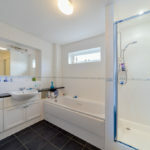 CLOAKROOM 2 piece white suite with refitted low level WC, pedestal wash hand basin, radiator, ceramic tiles to half height to all walls and tiling to floor, coving, and a UPVC double glazed window to side. 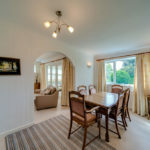 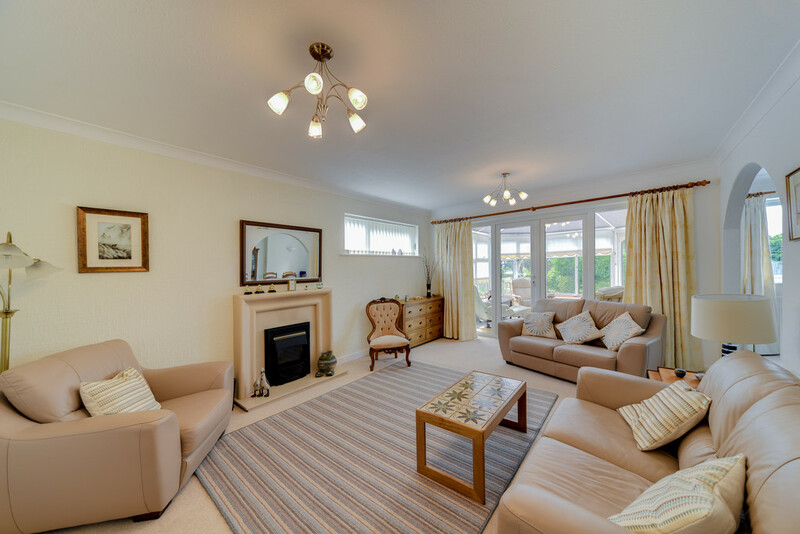 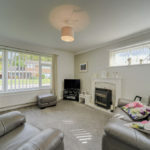 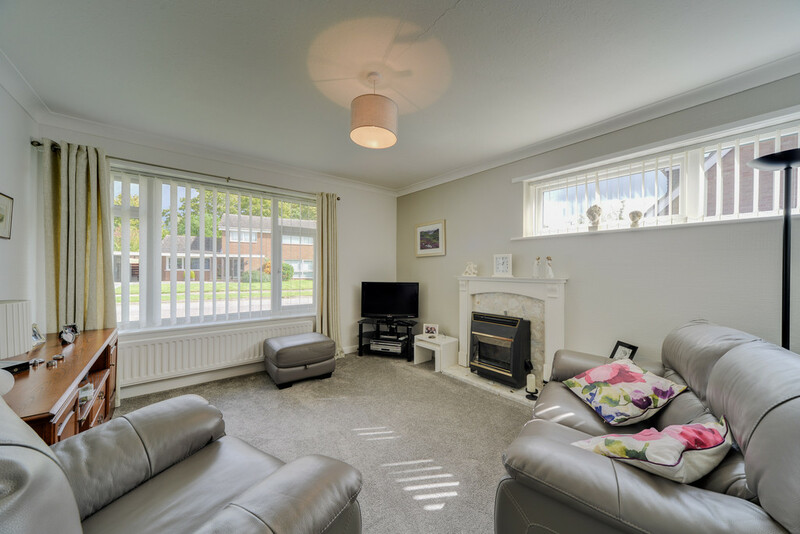 LIVING ROOM 16' 11" x 12' 11" (5.17m x 3.94m) Coving, radiator, TV point, feature living flame effect gas fire place, UPVC double glazed window to side and UPVC French doors into the conservatory and feature archway through to the dining room. 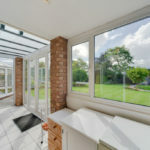 DINING ROOM 14' 2" x 8' 11" (4.32m x 2.73m) Radiator and UPVC double glazed window. 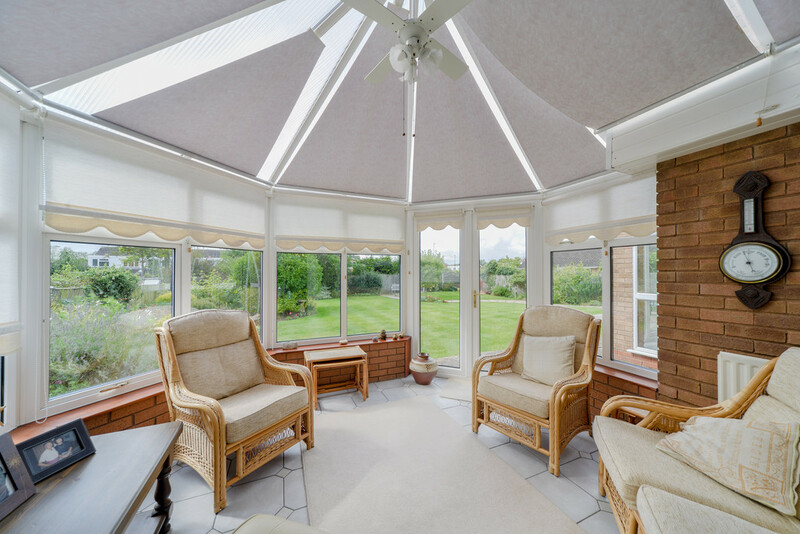 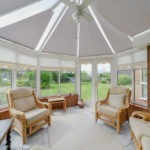 CONSERVATORY 11' 11" x 12' 8" (3.64m x 3.87m) Surround UPVC double glazed windows with views over the rear garden, pitched polycarbonate roof, UPVC French door onto the patio and ceramic tiles to the floor. 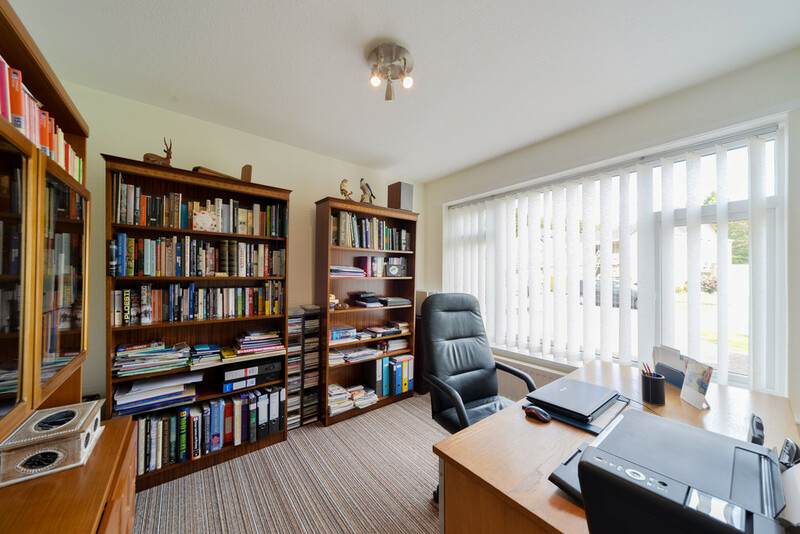 STUDY 9' 9" x 8' 10" (2.98m x 2.70m) UPVC double glazed window to front, radiator. 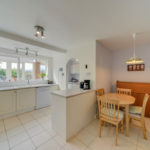 BREAKFAST KITCHEN 14' 2" x 14' 3" (4.32m x 4.35m) Fitted with a range of matching white base and wall units with brushed steel handles and marble effect rounded edge work surfaces, ceramic tiling to all walls, one and a half bowl sink with chrome mixer tap, space for oven, space for dishwasher, space for under counter fridge, ceramic tiling to floor, breakfast area with radiator, tiling to floor and space for breakfast table. 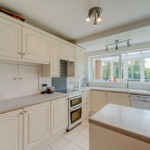 UTILITY ROOM Matching white base and wall units, with marble effect rounded edge work surfaces, space and plumbing for washing machine and space for under counter freezer. 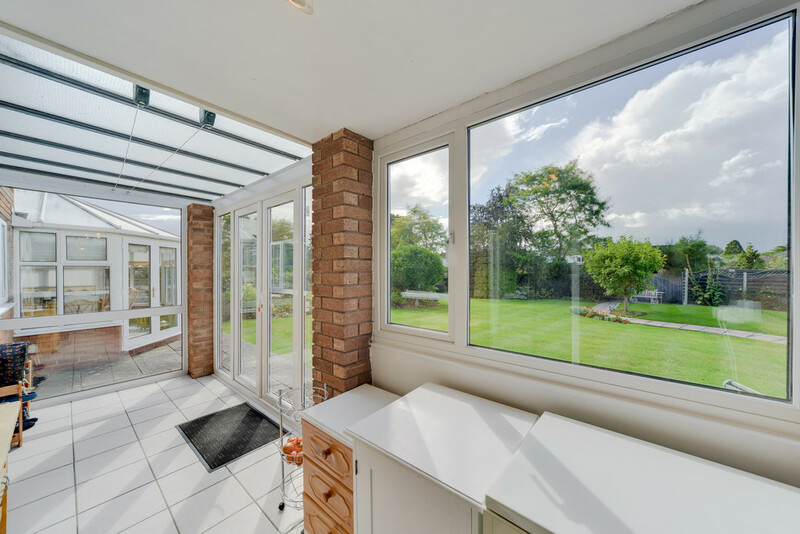 GARDEN ROOM 16' 0" x 5' 8" (4.88m x 1.74m) Ceramic tiling to floor, UPVC double glazed, surrounding windows with a reinforced glass roof, door to garage, and space for tumble dryer. 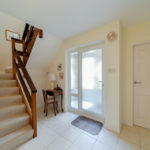 FIRST FLOOR LANDING Split level stairs rising to the spacious first floor landing, radiator and UPVC double glazed window, door to airing cupboard with lagged copper cylinder and immersion heater and slatted shelving. 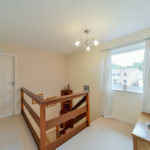 DOUBLE BEDROOM 14' 2" x 10' 11" (4.32m x 3.35m) Laminate flooring, radiator, UPVC double glazed window, built in double wardrobe and door to en-suite. 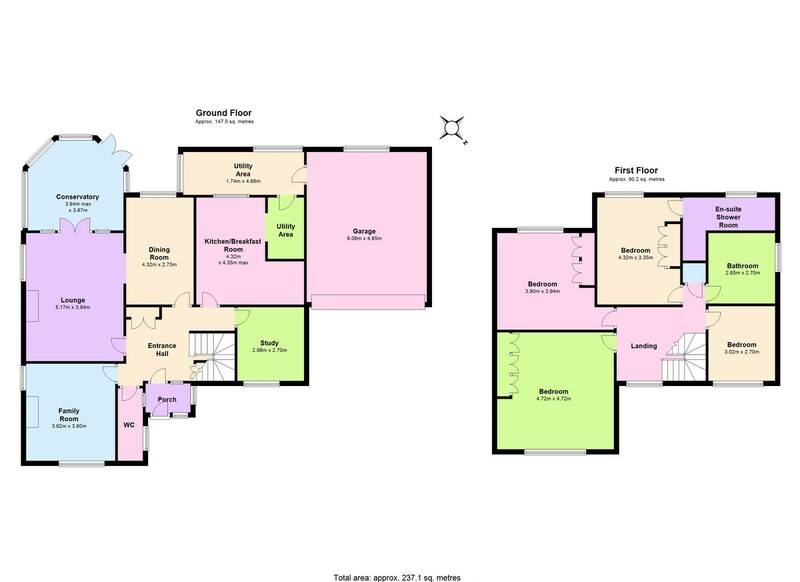 EN SUITE 3 piece white suite with a low level WC, pedestal wash hand basin, walk in shower with mains fed shower, UPVC double glazed window. 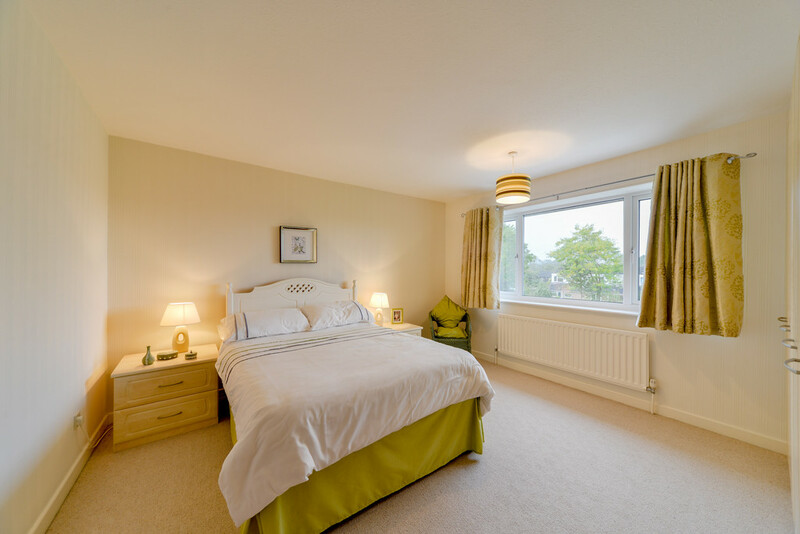 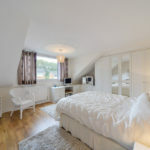 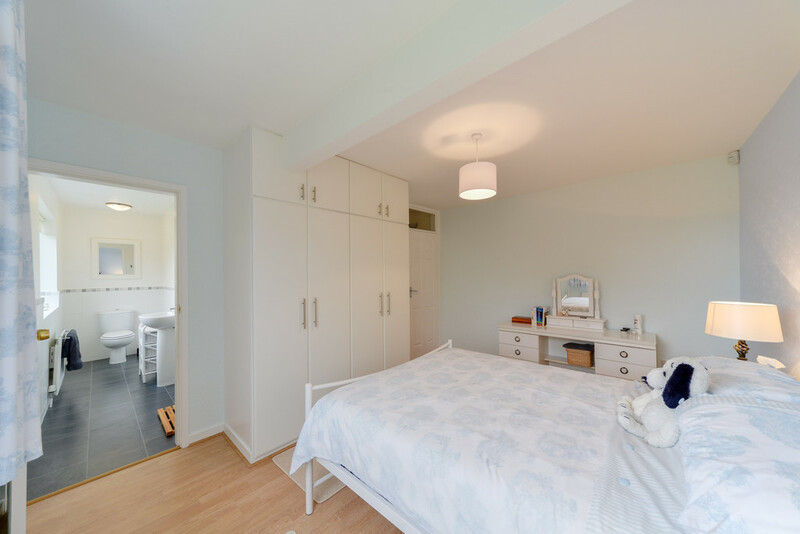 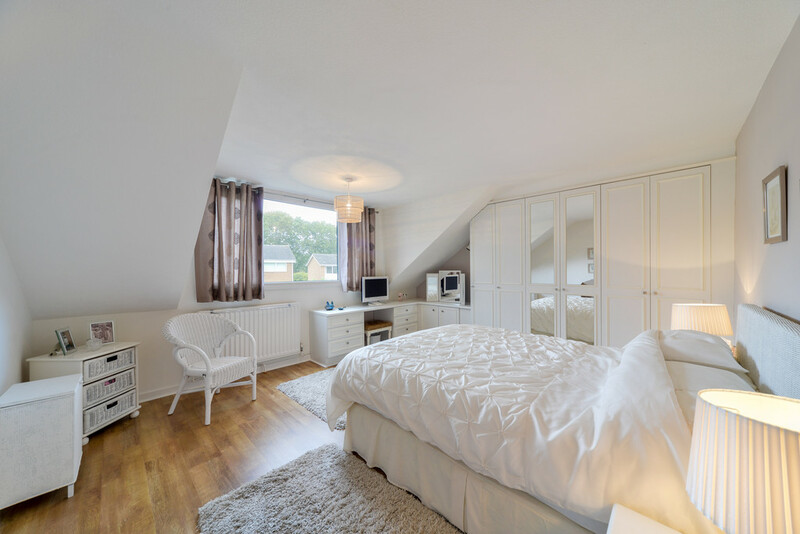 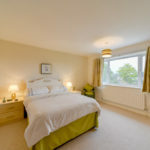 DOUBLE BEDROOM 15' 5" x 15' 5" (4.72m x 4.72m) Wood laminate flooring, range of built in bedroom furniture including built in wardrobes, with bedside cabinets, vanity unit and UPVC dormer window. 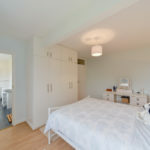 DOUBLE BEDROOM 12' 11" x 12' 9" (3.94m x 3.90m) Radiator, UPVC double glazed window, built in wardrobes with matching chest of drawers and bedside tables. 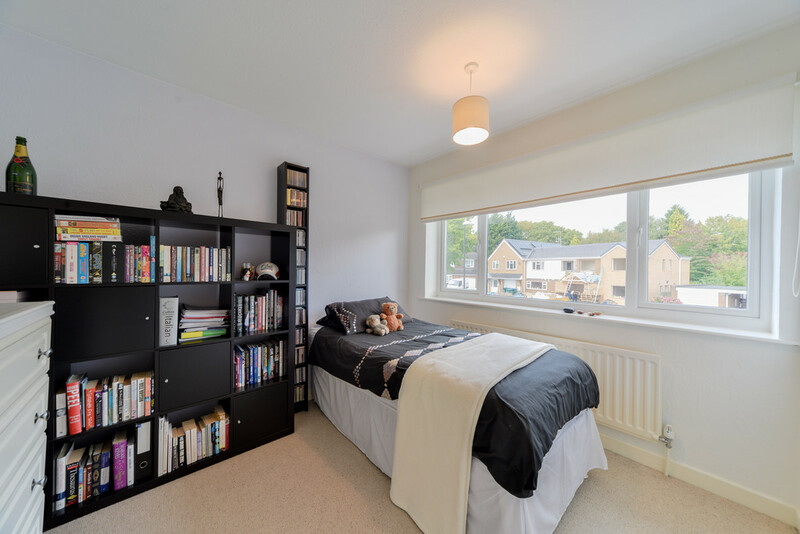 DOUBLE BEDROOM 9' 10" x 8' 10" (3.02m x 2.70m) Radiator, UPVC double glazed window. 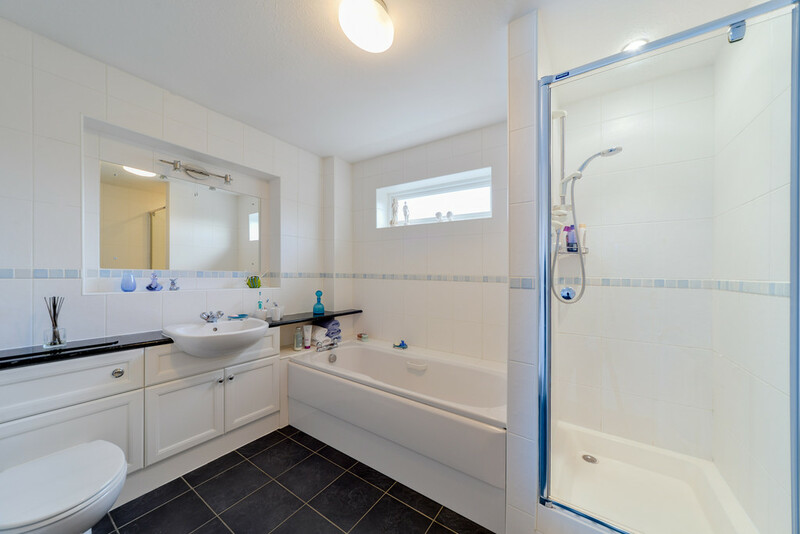 BATHROOM 9' 4" x 8' 10" (2.85m x 2.70m) 4 piece white suite with low level WC, vanity wash hand basin, panelled bath, walk in shower cubicle with mains fed Mira shower, inset alcove and mirror, ceramic tiles to floors and walls, radiator and UPVC double glazed window. 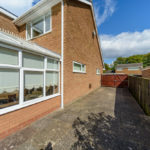 DOUBLE GARAGE 19' 10" x 15' 10" (6.06m x 4.85m) Electric metal up and over door to front, power and light, glazed window and wall mounted Baxi boiler servicing the hot water and central heating. 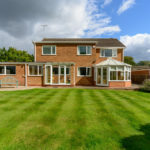 REAR GARDEN 72' 2" x 65' 7" (22m x 20m) Fully enclosed by perimeter fencing, not overlooked with a pleasant south facing rear garden, patio and pathway leading across the predominantly lawned garden, with beautifully stocked borders with a lovely variety of shrubs and plants, with outside lighting and timber shed. 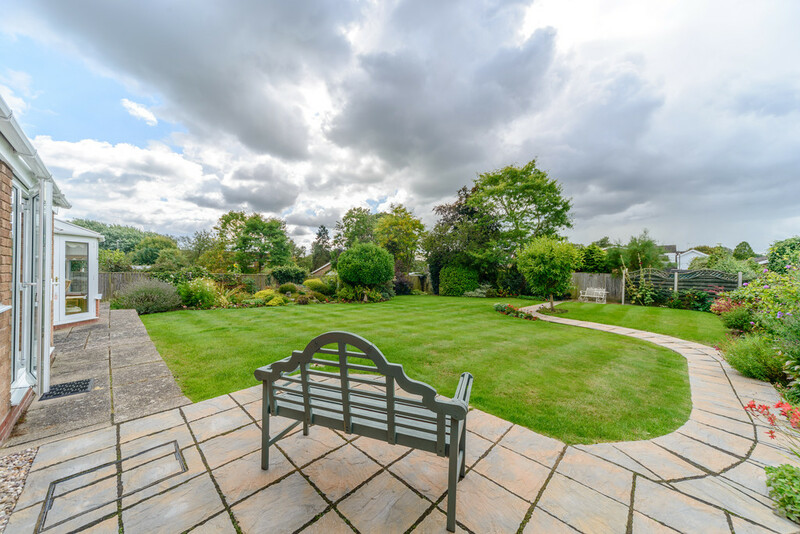 To the side of the property there are double timber doors providing excellent width of access, leading to a block pave drive in addition to the main driveway, affording parking for 2/3 cars or scope to extend. 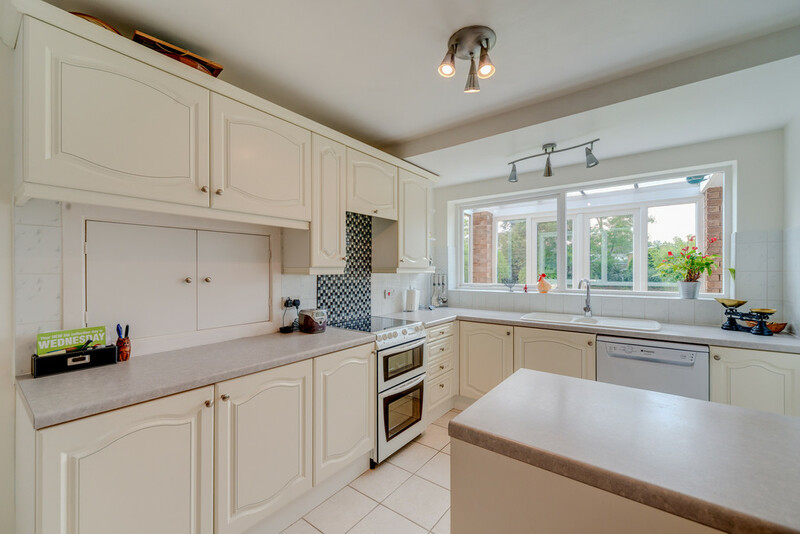 FIXTURES & FITTINGS All fixtures and fittings as mentioned in our sales particulars are included; all others are expressly excluded. 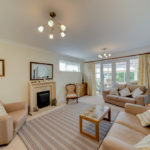 An attractive extended 4 bedroom detached house with double garage owner occupied since 1972 with a lovely south facing rear garden, on the sought after Cannon Park Development.